The Hourglass Hidden Corrective concealer isn't one of these - for me. Though I wouldn't be devestated if this was on my desert island. Now, I was given two colours to try, Natural and Pearl, it could be that the perfect colour is waiting for me in the collection... but I think not. For under-eyes I have used other concealers I prefer. I like the consistency but the coverage just isn't there - you'd need to build it up a lot and you'd end up looking odd. It's great straight from the stick but blends quite sheer. On spots and redness, however, this is awesome. For over a month I had a patch of spots on my chin that came up as a reaction to something. The Natural colour in this covered these beautifully. One layer of this straight from the stick, blended out at the edge with a finger and all the spots were covered and with a really nice natural finish. It's long-lasting especially when set with a powder. I love the consistency of this, made better that it comes from in a stick, showing how far make-up has come. Anyone remember those awful stick concealers from the 90s. If you had to you could use these to contour and highlight. If you had to. I'd rather you just used a bit of concealer where you needed it and resisted the urge to go over the top. (Keep the rant in Harrod, keep it in). For spots, redness, any pigmentation on the face I recommend these concealers. If you have very dark circles then go and try before you buy - I'm sure on a lot of people this would be fine. Mine are quite tricky to cover. That it's in a stick and has such a lovely finish mean you can apply this in seconds. Slap it on, blend the edges, set with powder (or not) and off you go. It has a 'cream to powder' formula so you technically shouldn't have to set it. But I do. The range of colours is ok. The paler skins are catered for of course, and there are four darker shades that seem good - but I haven't had a chance to swatch them. Reviews seem to be that the warm works well for olive skins. 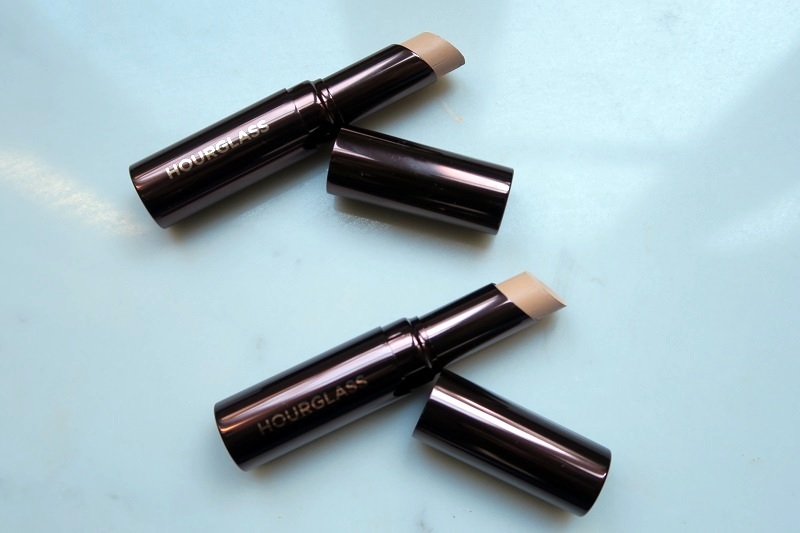 The price is on the higher end of what I would pay for a concealer but the stick format and the ease at which this goes on means this should last a while. I also like that you will be able to get every last bit of product out.